Today we had a meeting with biodynamic poultry farm Boerveenshof and poultry service Smeding from Dronrijp (NL). Rolf and Danielle from Boerveenshof would like to catch their hens (once due for slaughter) using the EonA Dutch method. This ensures the chickens are kept upright instead of grabbed and hung by their legs. The goal is to cause less stress and pain to the birds. Poultry service Smeding, the company that will catch the chickens, is keen to try this new method. They will first be given training from Eyes on Animals. Smeding further developed a manual for their employees in 2015 – in which they included various animal welfare recommendations from Eyes on Animals. They update this manual every year. They will also start using a work-instruction on the advice of Eyes on Animals. This work-instruction contains “do’s and don’ts” when handling poultry in a humane way. New employees must sign this work-instruction. The chickens from Boerveenshof have an outdoor area where they have covered litter space and an uncovered area where the chickens can roam freely on natural ground. This uncovered area is at least 40% woodland with forest plants, oak trees, fruit trees, elephant grass and conifers, so that the chickens feel protected. The conifers also provide shelter for the chickens in the winter months. In the corners of the stable (aviary and raised mesh floor) sturdy bags are hung from ropes. 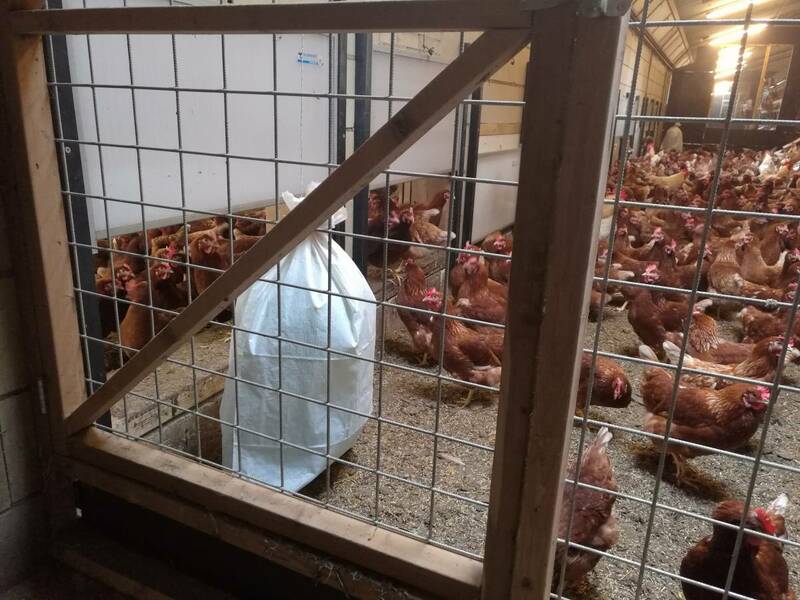 These bags move slowly, preventing the chickens from smothering in the corners – which can happen if the chickens are frightened by something. Boerveenshof is the first Demeter company to start using the EonA Dutch catching method. 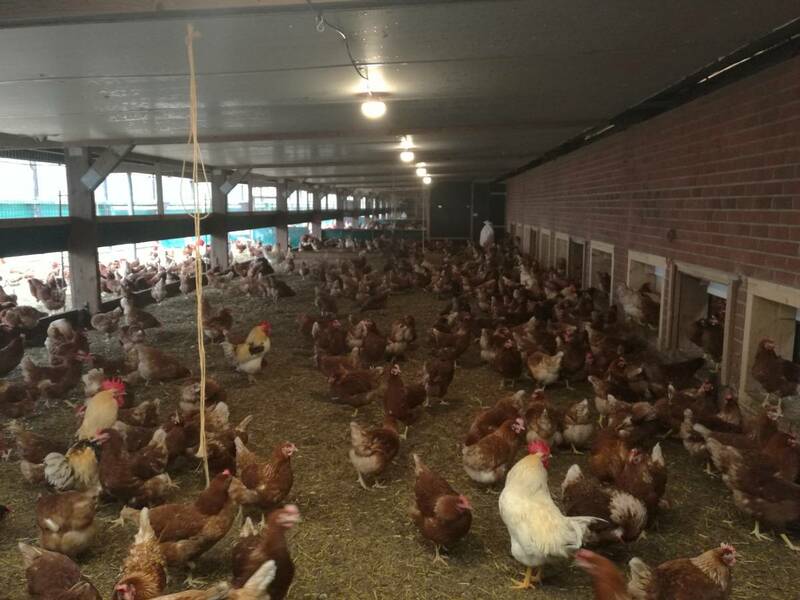 Eyes on Animals wants to thank Boerveenshof and poultry service Smeding for their enthusiasm and motivation to get started with the welfare of the chickens during catching and loading!